PLEASE NOTE: This video is audio only. What is so special about the 144,000? Why does Ellen White encourage God’s people to “strive” to be a part of that group? What will it take to be one of the chosen ones? What will be required of them? In heaven, what will they be and do that will make all the suffering worthwhile? In this sermon, pastor Ernie Knoll addresses these questions and brings out important points to ponder as we prepare to witness the unfolding of earth's final events. Or you can order a free CD from us below. Shipping costs are applicable if you live outside the United States or Canada. 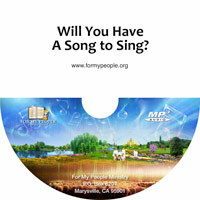 Will You Have a Song to Sing? Without faith it is impossible to please God. Sometimes God asks us to do things, but at the time we do not understand the 'why.' Sometimes what God asks us to do has a greater, symbolic message. Do we have the faith to obey, like the patriarchs and prophets did throughout history? Men like Isaiah, Hosea, and Abraham demonstrated extraordinary faith when asked to do extremely difficult and even unusual things. In this message, Ernie Knoll explores trust and obedience in the light of some recent natural disasters. Since the beginning, God has chosen messengers to be a mouthpiece for Him. Many times they have had to deliver messages of reproof, warning, encouragement, and instruction for His people. Over the course of months, Pastor Knoll has been shown how the messengers of God have been disrespected, mocked, and ridiculed. He was instructed to prepare a message that gives Bible examples of those messengers and what happened when the messages were not taken seriously. 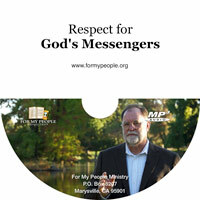 God has sent many messages in our time for His people to prepare for His imminent return. Have those messages been heeded? To save on bandwidth, you can listen to the sermon as audio only, or you can choose to download it and listen to it at a later time. The Wonders of Creation DVD features creation and nature scenes filmed in various locations around the world. They are accompanied by 18 sacred hymns, with the words appearing as subtitles, to allow singing as you watch. 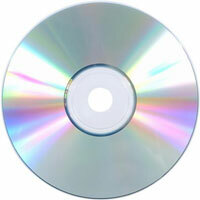 If you would like to view the Wonders of Creation audio CD and MP3 page, please click here. 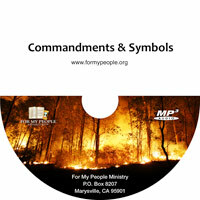 Or you can order a free DVD from us below. Shipping costs are applicable if you live outside the United States or Canada. “Wonders of Creation.” A year in the making, this video features sacred hymns with creation scenes from around the world, almost all filmed by For My People Ministry volunteers. Its purpose is twofold. First, to provide an opportunity to worship God at home, by remembering Him as the Creator of everything that is good. Secondly, to guide our minds to the beautiful things He has created for us to enjoy, because soon this beauty will no longer exist as destruction and desolation sweep over the earth. Above is a short preview. The entire video will be posted on this website very soon. June 23, 2013 - The Prophetic Gift: Does God Still Speak Today?